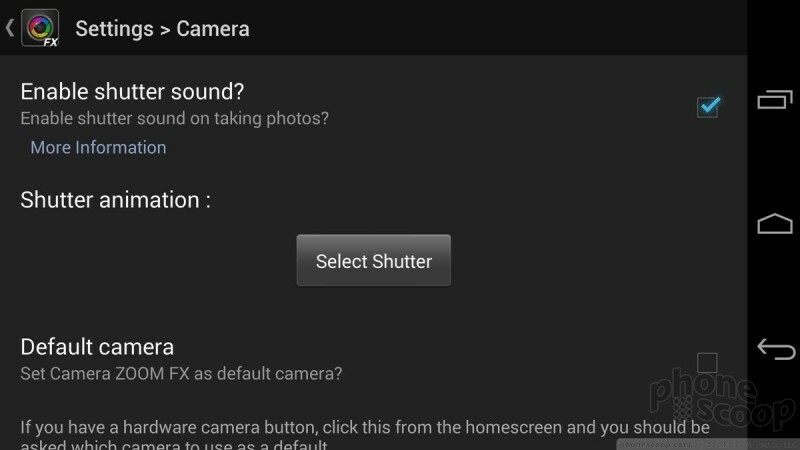 As a refresher, let's go over just how the stock Android 4.4 KitKat camera works. It is simplistic almost to a fault. It covers the basics in terms of shooting features and doesn't go much beyond them. There are several shooting modes: normal, panorama, PhotoSphere, or video. Using the settings tools - which are really annoying - you can adjust some behaviors of the N5's stock camera. Scenes are limited to action, night, normal, sunset, and party. White balance can be adjusted for incandescent lights, fluorescent lights, sunny skies, cloudy skies, or auto. 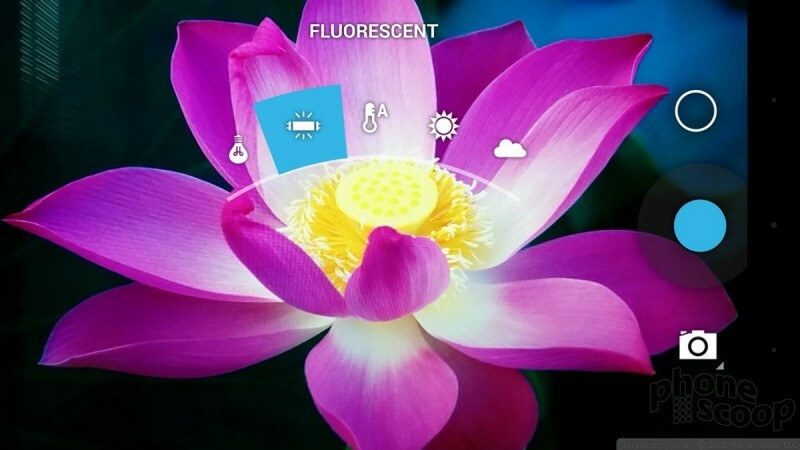 Geotagging can be turned on and off; the flash can be turned on and off; there's an HDR mode; exposure can be reduced/increased; and the camera has a rudimentary countdown timer. The tools allow a moderate amount of control when it comes to taking more than off-the-cuff shots. You can actually freeze motion if you use the sports mode, and get proper exposures if you use the sunset or night modes when the lighting is all weird. Most people won't bother with adjusting the white balance, but having HDR helps a lot to even out high contrast and provide a more even exposure in certain situations. Bottom line: the Nexus 5's stock camera is usable and offers just enough tools that knowledgeable photographers can take advantage to improve the chances they'll achieve good results. Where the stock camera is minimalistic, Camera FV-5 is the complete opposite. The viewfinder is a jumble of icons, sliders, buttons, controls, and data. 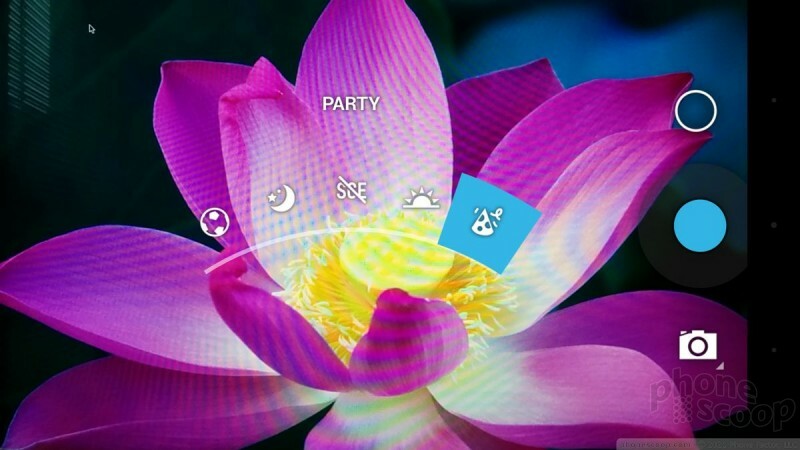 The good news is that FV-5 lets you manage nearly every aspect and behavior of the camera app. The bad news is that there's a bit of a learning curve. 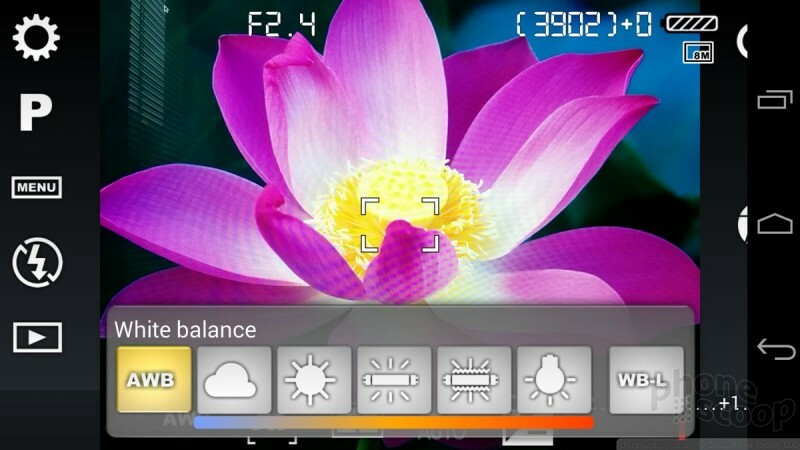 FV-5 is most like the Nokia Smart/Pro Camera application. It has the same set of tools, if not quite the same level of refinement. 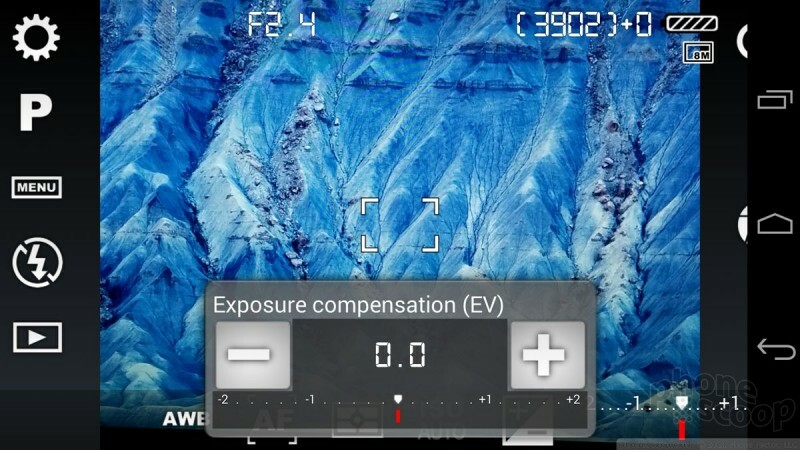 FV-5 bills itself as the dSLR (professional camera) of smartphone camera apps, and that claim isn't far off. It offers the widest set of controls I've seen in a modern smartphone camera app, nearly all of which are in easy reach from the main screen. You'll see a handful of numbers spread across the top of the screen. These tell you the details about the shot you're about to take (or about the shot you just took). It shows the f-stop, the exposure time, the ISO speed, and how many photos you can still take at present settings. This info bar mimics a bit what you might see along the bottom of the viewfinder when using a real dSLR. All of these info points are stored in each image's metadata (EXIF). The viewfinder fills about two-thirds of the display and is fully encircled with buttons, indicators, and controls. One button controls the focusing mode. 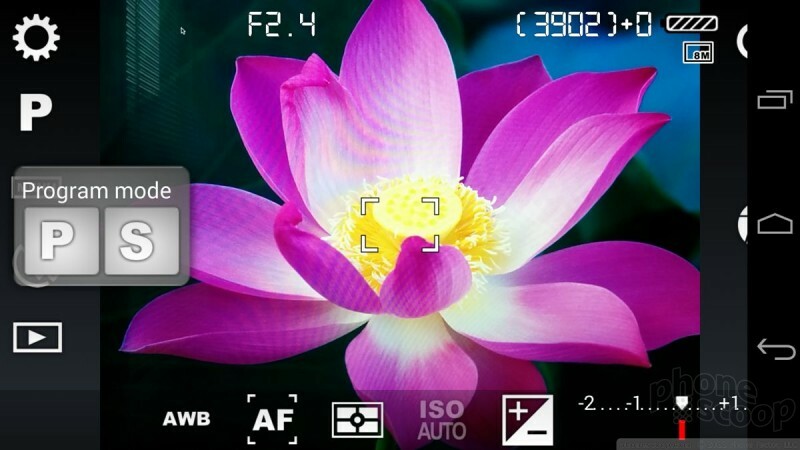 The FV-5 camera can be set to auto focus, macro, smile, touch-to-focus, or infinity - all from an intuitive tool that's positioned on the bottom of the screen. Focus can be locked, too. Similarly, there are six different white balance modes and five different metering modes. The metering modes let you adjust how the FV-5 senses and measures light. There is an exposure slider that lets you adjust by up to two full stops in either direction. There are six different flash modes, including auto, on, off, soft, constant, and red-eye reduction. Shooting modes include single shot, timed, bracketed, and burst. You can choose from several different time exposure modes, including 1-second, 2-second, 5-second, and user-defined lengths (up to 30 seconds). And of course, you can control all the microscopic settings, such as image size/quality, shutter sounds, review period, file types, storage locations, and on and on and on. So what doesn't the FV-5 offer? 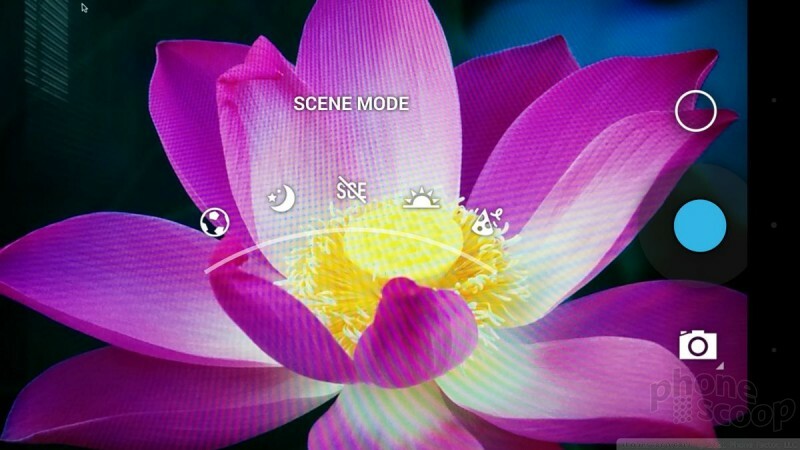 Generalized scene modes. There's no action, night, party, or beach shooting modes. There's no beauty shot, no landscape shot, nothing of the kind. Camera FV-5 assumes users know their way around a camera and its controls. You have to know what you're doing to use this app. It is not for amateurs. It's not elegant, it's not pretty, but FV-5 is certainly functional. 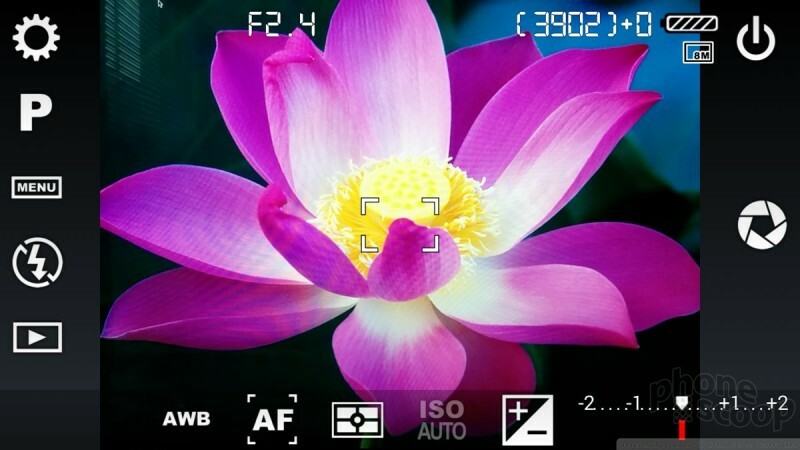 For many, Camera ZOOM FX may fall in between the stock Nexus 5 camera and FV-5. That means it offers an appealing mix of easy-to-use features, such as shooting modes, with fine-tuned controls, such as exposure and other tools. When you first open the app, it helpfully walks you through a tutorial to explain the basics, but you can skip this if you want. The UI has just the right amount of stuff going on, as far as I am concerned. The viewfinder takes up the bulk of the screen, but it is surrounded by a minimized array of buttons to change select behaviors. The app opens reasonably quickly and you can go straight to taking photos without having to make any alterations. The default statuses are a bit odd, though. For example, focus is set to infinity. 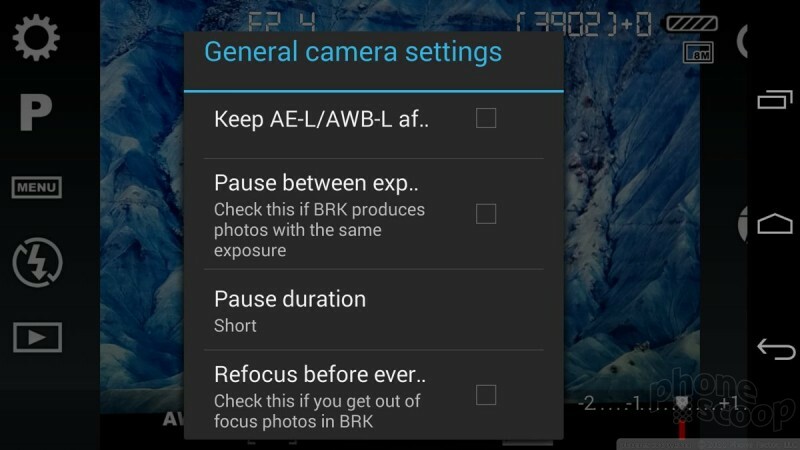 You have to manually turn on auto-focus. That seems rather 2008-ish to me. The review tool is set to on, and forces you to acknowledge each photo before it returns to the viewfinder. You can, thankfully, set the review period to zero so it goes back to the camera right away - but finding and changing this setting is not as intuitive as it should be. 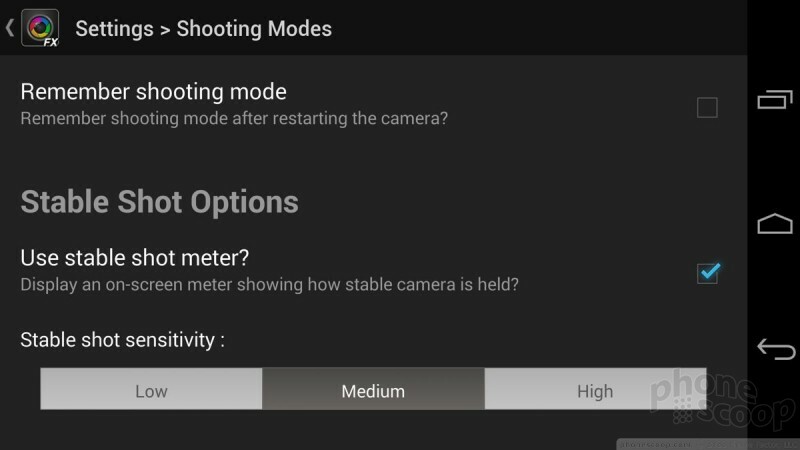 On the left, you can access several different modes for controlling the horizon (whether or not the camera is level) as well as the metering modes (center-weighted, etc.). 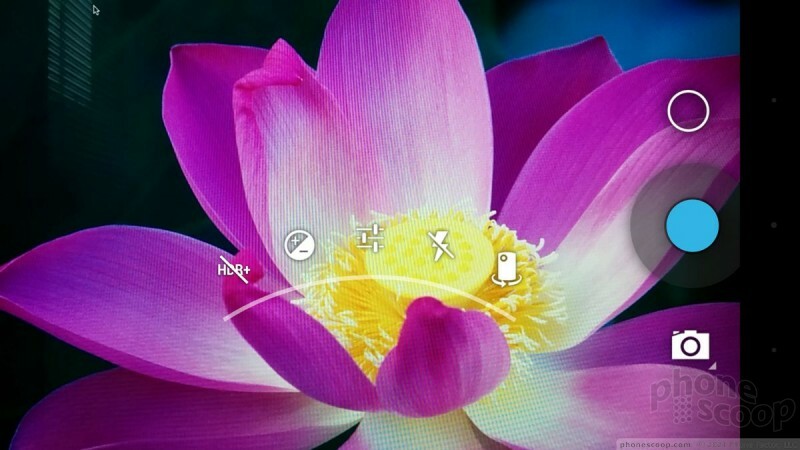 There are also controls to access the front camera, the flash, and the photo album. On the right, you'll see controls for the shutter button, effects, shooting modes, and the full settings. Camera ZOOM FX has a button to capture video, but all it does is load the stock video-capture app. The shooting modes are somewhat interesting. They include normal, stable shot, timer, voice activated, burst mode, collage, and time lapse. Most of these are rather obvious. Stable shot will force the camera to wait to snap the image until it senses the camera is still. You have to choose how long the camera needs to be still, such as 0.5 seconds, 1, second, or 2 seconds, before it will shoot the picture. This helps ensure sharper focus. 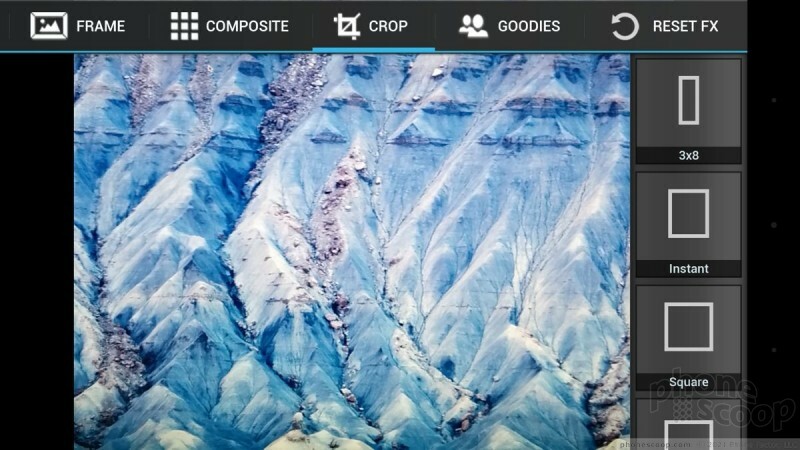 Collage mode lets you take a handful of pictures and piece them together into a single image. Burst mode can shoot a seemingly unlimited number of shots. These are great tools. There's a macro-focus tool, too, but that needs to be toggled on/off manually through the settings; it's rather clunky to find. Then there's the effects tool. The effects let users add frames, create composites (use multiple effects), set crop (square, 10 x 8, 8 x 6, etc. ), as well as create cards. The bummer is you can only use some of these effects (like the cards) if you pony up some cash for them. 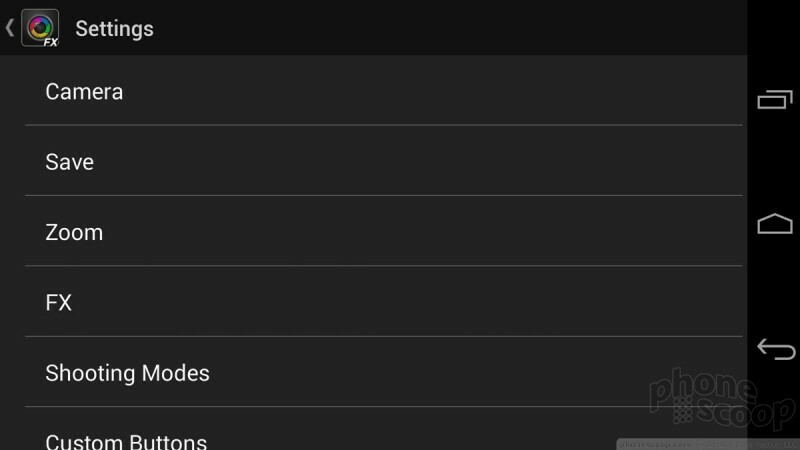 A handful are included, but the effects drawer is filled with links that take you to the Play Store. The settings tools are off the hook. You can adjust almost everything with them. Naturally, ZOOM FX covers the basics, such as image size/quality, focus mode, filters, white balance, banding, scenes, and so on. The scenes include landscape, snow, beach, sunset, night, portrait, sports, steady photo, candlelight, fireworks, party, night-portrait, theater, and action. That's a lot from which to pick. I only wish it were easier to find and select these modes. You have to dig a bit to get to them. There's yet another button called "All Settings." 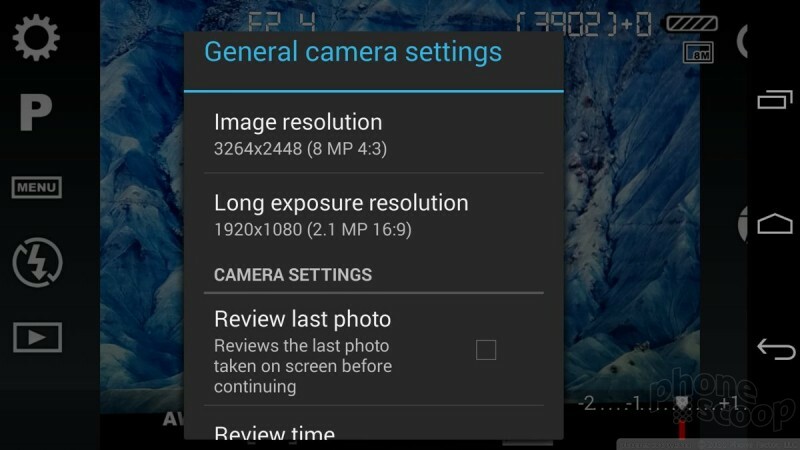 When selected, you'll be greeted with more controls than you've likely seen in any other camera app. Some of my favorite tools are the ability to set custom actions for the volume keys, sensitivity of the zoom tool, the intensity with which effects are applied, and the ability to automatically rotate selfies (clockwise, counterclockwise). You can also set the default gallery app. What can't you do? Well, there's no HDR mode. Same goes for panorama, which is also absent. 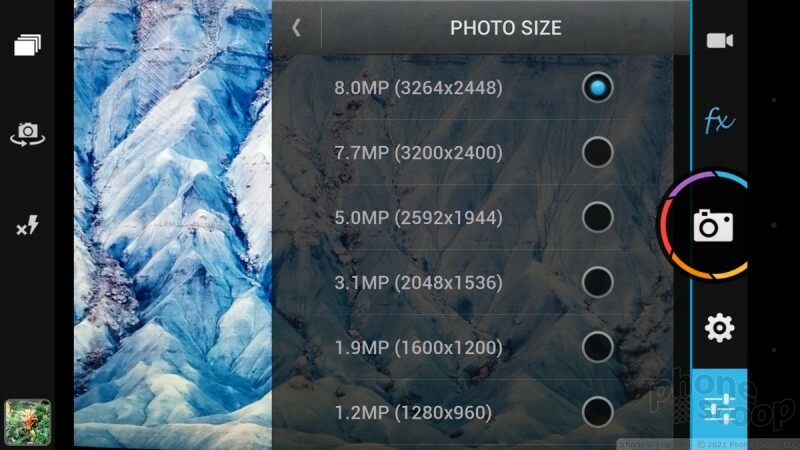 Most camera apps should offer these features, though it is only fair to point out that your stock camera probably offers these tools. 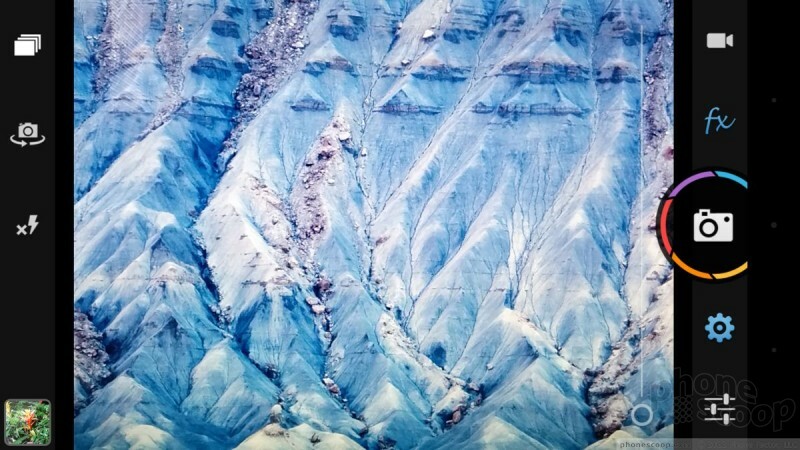 Camera ZOOM FX offers a wealth of tools, there's no doubt of that. Some of them could be easier to adjust, and I wish the app ran just a little bit faster, but it's a solid alternative to the stock app when it comes to exercising some creative muscle.